Our research-based, hands-on, and independent approach helps our institutional clients excel so the people they serve can succeed. We keep a close eye on current and historical financial trends, as well as domestic and global markets to help our institutional clients develop diversified portfolios that align with business needs and interests. Our diversified equity and fixed income strategies blend a top-down macroeconomic view with bottom-up fundamental investment analysis. Independent research capabilities provide us the ability to draw our own conclusions based on our significant investment expertise. Our investment process is a long-term and data-driven strategy that tightly integrates a broad macroeconomic view with a sophisticated research-based approach. 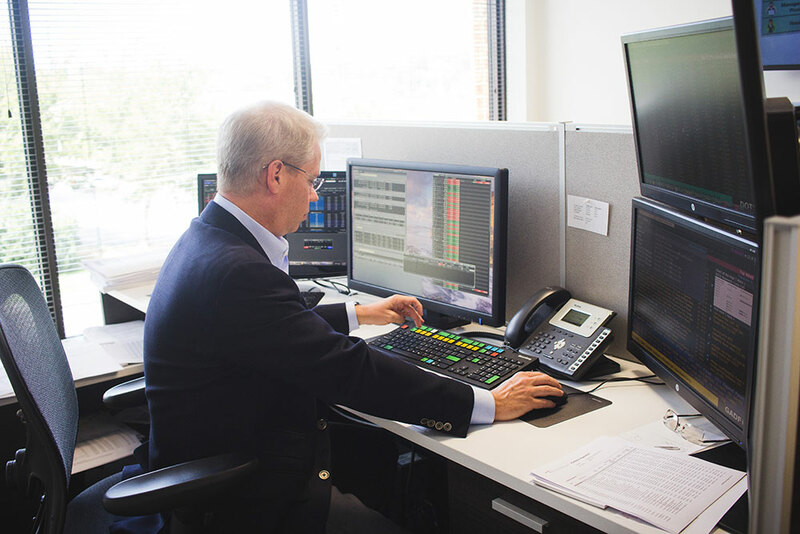 We strive to grow investment principal without excess exposure to risk by combining economic and securities analysis to achieve a goal of long-term, competitive, risk-adjusted returns. Building wealth through disciplined portfolio management is our primary goal. While our valuation analysis utilizes industry-specific approaches, we also rely on our proprietary valuation methodology, the GRAD Point™ Valuation Framework, to control risk while identifying attractive reward potential. Our valuation model compares a company’s projected earnings growth against a risk-adjusted P/E ratio. The model risk adjusts the P/E by assessing both company-specific factors surrounding growth and profitability, as well macroeconomic factors. Furthermore, we have long-term relationships with the financial consultant community, whose databases are updated quarterly to provide relevant data on our investment strategies and firm. Learn more about our investment strategies.